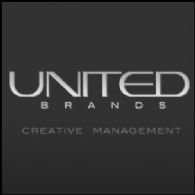 United Brands Worldwide on July 5, 2011 announced the expansion of management and consulting services through two new divisions it is establishing - United Brands Asia and UB China. "There is serious demand for U.S. management and financial expertise in planning public mergers and IPO's from established jewelry companies involved in manufacturing, wholesale and retail venues" said Lyle M. Rose, president of United Brands. "United Brands is focused on providing our clients with the best strategic management team in the industry. During the past several years our affiliates and team members have participated in numerous mergers, IPO's and private placements for U.S. and Chinese companies. We see this as an exceptional time for diamond and jewelry companies to get a strong foothold in the financial markets now in order to better execute their future business plans," added Mr. Rose. United Brands Worldwide is a U.S. based creative management firm with offices in Beverly Hills and Hong Kong, led by executives Lyle M. Rose and Jack Abramov, both ex-CEO's of public and privately held diamond and jewelry companies.